Annuity and Structured Settlement: Cash for Your Payments. A Structured Settlement is a method of paying damages to a plaintiff (the injured party) over a period of time when a lawsuit has been settled. How Are Structured Settlements Created? A company (typically an insurance company) is selected by the defendant to structure the settlement. The structured settlement company purchases an annuity contract and sends the payments from the annuity to the plaintiff. The payments are fixed in time and amount. The structured settlement company retains ownership of the annuity even though the plaintiff is the beneficiary. Who Can Benefit From the Sale of a Structured Settlement? Each year about 15,000 new structured settlement transactions are originated in the United States. This ever-growing number points to an estimated cash flow of $25 billion. Plaintiffs receiving a structured settlement can benefit from the sale of their stream of payments by receiving a lump-sum of cash. Opportunities in this area are limited in some states. 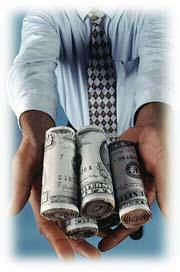 Be sure that you check your state's laws regarding assignment of assigning structured settlements. Our Consultants can often purchase settlements that plaintiffs have been told are non-assignable. Contact us for further information and assistance in this area. Are you receiving payments from a structured settlement? Do you need money? Contact us for additional information on how we can help.